NAIKARRA, Kenya – “I woke up one morning, and my father told me that we were poor and needed money,” said Faith, describing the moment she learned she was engaged. She was 11 years old at the time. Her father explained that an elder in their village, in Kenya’s Narok County, would marry her and pay a bride price, which would alleviate some of the family’s financial hardship. And the news got worse: Before she could be married off, she would have to undergo female genital mutilation (FGM). That was the moment Faith knew she would run away from home. “How am I expected to be a wife to someone my father’s age?” she asked. Faith, now 13, grew up in a community where FGM and child marriage were common. In Kenya, an estimated 11 per cent of girls have been circumcised, according to a 2014 national survey, and nearly 23 per cent of women, aged 20-24, were married before reaching 18. 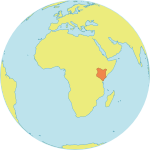 One quarter of Kenyan women give birth by age 18. Although Faith had never been to school, she had learned that these practices are harmful from participating in local discussions conducted by World Vision Kenya, a partner of UNFPA. FGM can cause haemorrhage, chronic pain, infection and even death. Child marriage leaves girls vulnerable to physical and sexual abuse, and many child brides become pregnant while still teenagers, putting their health at risk. Globally, pregnancy-related complications are the leading cause of death among adolescent girls. Both FGM and child marriage are considered human rights violations. Two days after learning of her engagement, Faith slipped out of the house at dawn, while her family was asleep. She walked over 20 km to the only place she knew she might find help – Naikarra Primary School. The local school has boarding facilities, and has become known in the surrounding community as a place where girls can seek refuge. She arrived tired, hungry and with her clothes in tatters. “She looked utterly malnourished and scared. Her feet were swollen due to the long walk,” said Edith Komoni Kipteng, a teacher at the school. It was not an uncommon sight. “Over the years we have witnessed this scenario of girls running away from their homes to avoid FGM and early marriage by seeking refuge at the school play out countless times,” Ms. Kipteng explained. Faith has now been at the school for two years. Her best friends, Sylvia and Vivian, also ran away from home to avoid FGM and child marriage. Out of the school’s 500 pupils, 100 girls have sought refuge from FGM by boarding at the school. 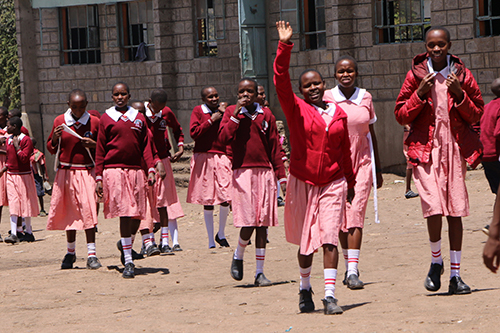 Dormitories, which are maintained with help from World Vision Kenya, are open during school holidays so girls at risk of FGM or child marriage can avoid going home. But Faith says it is still difficult to be separated from her family. But other girls have not been so fortunate. The school’s resources are stretched to capacity. A UNFPA-UNICEF joint programme on FGM is working with the government to protect girls’ human rights. This includes assisting with the development of policies and laws to curtail FGM. UNFPA is also working with partners, such as World Vision Kenya and the Federation of Women Lawyers Kenya (FIDA Kenya) to promote an end to both FGM and child marriage. In places like Narok County, UNFPA is providing mentoring and life skills education to both girls and boys, which includes messaging about the harms of FGM and child marriage. 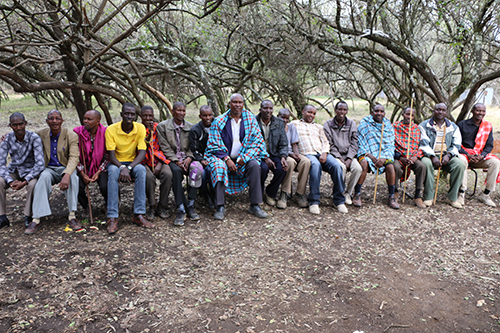 UNFPA and its partners are also working within communities to engage elders, community leaders, parents and young people in dialogues about these issues. These efforts have led community leaders to call for the abandonment of harmful practices. UNFPA also works to support the needs of married girls, particularly with access to family planning and maternal health care.